FOCUS ON THE GOOD. This is one of my personal favorite mantras in the I Choose Beauty collection, and something I’m constantly repeating to myself. We can choose what we focus on in life, even during trying times. The more good things you can shift your attention to, the more hopeful you will feel. 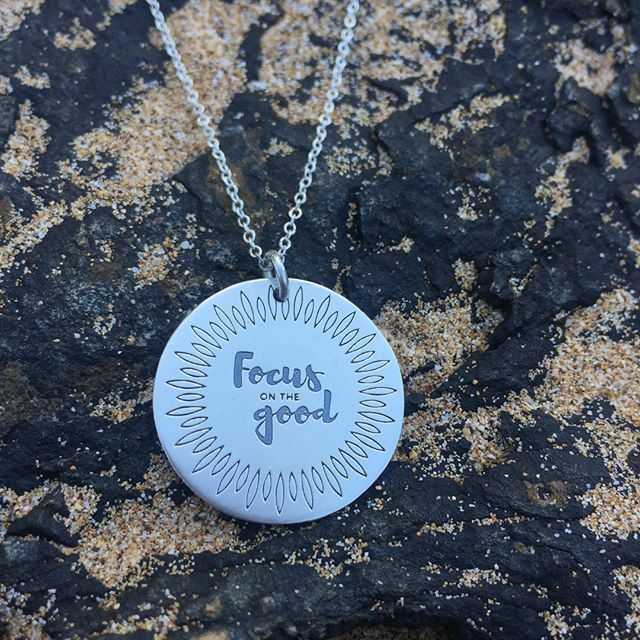 ⁣Our sterling pendants are custom-engraved in Los Angeles, and ship from Maui. 5% of net proceeds goes to Mental Health America.